Parochialism has plagued English-language comics studies for decades, as John Lent, editor and publisher of the International Journal of Comic Art, remarks in his introduction to his latest book: “The thinking in many quarters was that comics are an American idiom, and that’s that.” Fortunately, before the internet, a number of landmark books expanded Anglophone knowledge of international comics, blown wide open for example by Maurice Horn’s World Encyclopedia of Comics in 1976 and by Frederik Schodt’s Manga! Manga! The World of Japanese Comics in 1983. 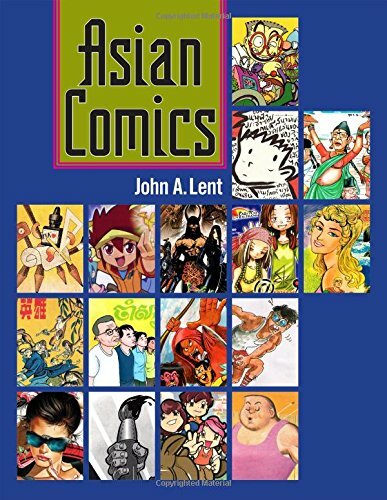 Now comes John Lent’s Asian Comics (University Press of Mississippi, Jackson, Mississippi, 342 pages, ISBN 978-1-62846-158-9, hardback, $60.00), the first book-length treatment in any language of comics from almost the entirety of the region. 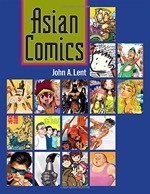 Lent opens with a wide-ranging overview of ‘precursors of comic art’ in ‘A Lead-Up to Asian Comics’. 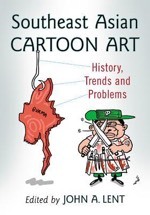 While acknowledging that ‘comic art scholarship has not identified what makes up a cartoon or comic’, Lent chooses to define the ‘elements of cartooning’ as ‘caricature, satire/parody, humour/playfulness, and narrative/sequence’. 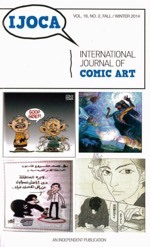 As a result of these broad filters, Asian Comics becomes not exclusively about comics as commonly understood in their modern forms, since in many countries single-panel political and joke cartoons and satirical caricatures puncturing authority have often been sources out of which comics emerged. By looking to other indigenous folk art and traditions of visual storytelling, comedy and satire, Lent points out the diverse roots of comics, for example in Indonesian wayang puppet theatre or Indian patua scrolls. Lent also wisely cautions about asserting humorous intent to all of his early examples. It’s indicative of the strength of the country’s traditions and innovations that Japan figures so prominently in his survey of precursors, from ukiyo-e and shunga prints to kibyoshi booklets, filling 24 of the first chapter’s 58 paragraphs. So it may come as a surprise that in the sixteen-nation guided tour which follows - exploring East Asia (China, Hong Kong, Korea, Taiwan), Southeast Asia (Cambodia, Indonesia, Malaysia, Myanmar, The Philippines, Singapore, Thailand, Vietnam) and South Asia (Bangladesh, India, Nepal, Sri Lanka) - Lent deliberately omits devoting a chapter to Japan. His rationale is that manga has already been extensively studied and he prefers to bring attention to lesser-known Asian comics cultures. That said, the impact of manga across the whole region is inescapable, as they have been exported, pirated, adopted, adapted, rejected, even banned. Their influence, both positive and negative, is felt in every country covered here, except apparently in Cambodia, Bangladesh, Nepal and Sri Lanka. Lent omits other countries as well as Japan - such as Bhutan, Mongolia, North Korea and Pakistan - because he has not conducted research in person there. Wherever possible, Lent insists on primary sources and can draw on a corpus of over four hundred interviews he has conducted on some 60 trips to Asia between 1986 and 2012, which enhance his writing with contrasting viewpoints and telling anecdotes. 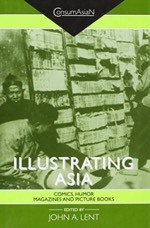 The longest chapter is twenty-four pages on Hong Kong, the shortest twelve pages each on Cambodia, Nepal and Myanmar, relative to the length and scale of their output. Lent adopts three main approaches: historical, industrial and aesthetic. 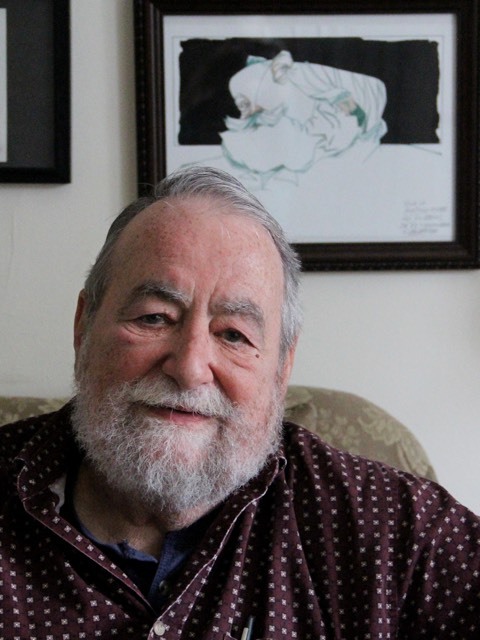 Through his investigations into the chronologies, markets, and illustrative and narrative aspects, he builds vital foundations and avenues for future research. Woven throughout these national histories are predominant waves of influence - from America, Britain, France, Japan and elsewhere - as well as the effects of colonialisation, occupation, commercialisation and globalisation, and the critical roles of freedom of the press, literacy, leisure consumerism, prejudices towards comics, competition from cheap imports and new mass media. One recurrent danger is the failure of comics cultures to evolve with tastes and times, so that they get left behind by fresher media, as in the case of the Philippines’ once-flourishing komiks whose styles and subjects became mired in formula. Lent also addresses the needs of cartoonists for training, organisation, mutual support and opportunity to make a living. Overall, he finds a continuing commitment, determination and sometimes optimism today among most Asian practitioners he encounters. Lent gives a few key works closer readings, but unavoidably most of the others are at best concisely summarised or listed as space limitations permit. Sometimes with more emphasis on production than product, with less on what titles are about, what makes their stories appealing or noteworthy, this book may make some readers feel less engaged with the actual comics themselves. What Lent does do well is guide us through the shifting editorial landscapes as publishers and creators constantly search for genres and concepts that will prove commercial or topical. His coverage, for example, of the Filipino komiks phenomenon, the well-spring of much of the movie industry in the Philippines, is extensive and multi-faceted, as it deserves. So too is his analysis of lianhuanhua, the palm-sized graphic novels from China with print runs in the millions, co-opted as Maoist propaganda tools. That said, visually the book does disappoint somewhat. Only one front cover of a typical lianhuanhua is shown and no examples of their one-panel-per-page interiors at all. The pulpy glories of Thailand’s cheap one-baht comics is represented by a single cover and not much more than two quite general paragraphs. Lent cannot be faulted for being unable even in 342 oversized pages to explain and show all of the comics history of sixteen different lands. Whatever lacunae occur here should alert others to the rich seams of material awaiting deeper study. Of the 178 images, sadly none in colour, 30 are Lent’s photos, the majority of his interviewees. While of documentary interest, some might have preferred a well-chosen example of the subject’s actual work. This is not in the end the most richly pictorial book, but it is a copiously informative one with plenty of writers and works cited within the text and in further reading lists and links, as one would expect from one of the great bibliographers of comics studies. Lent’s achievement is to chart so many un(der)reported territories; his gift to comics studies is a foundational map inciting more explorers to fill in the gaps and flesh out the details. Asian Comics stands as an essential further advance in grasping the bigger picture of this global medium, one beyond nationalities and fundamentally human. This review originally appeared in edited form in The Times Literary Supplement and in full in Studies in Comics.